I’m up at my parent’s place in Albuquerque for the holiday. Have a peek at their Mazda fleet. Mom drives a 2016 Mazda 6 touring (with the sunroof and Bose package) that now has around 40k on it. Dad drives an 05 Miata that recently hit 57k. He’s had it for four or five years now, and he only drives it about 4 or 5k a year. 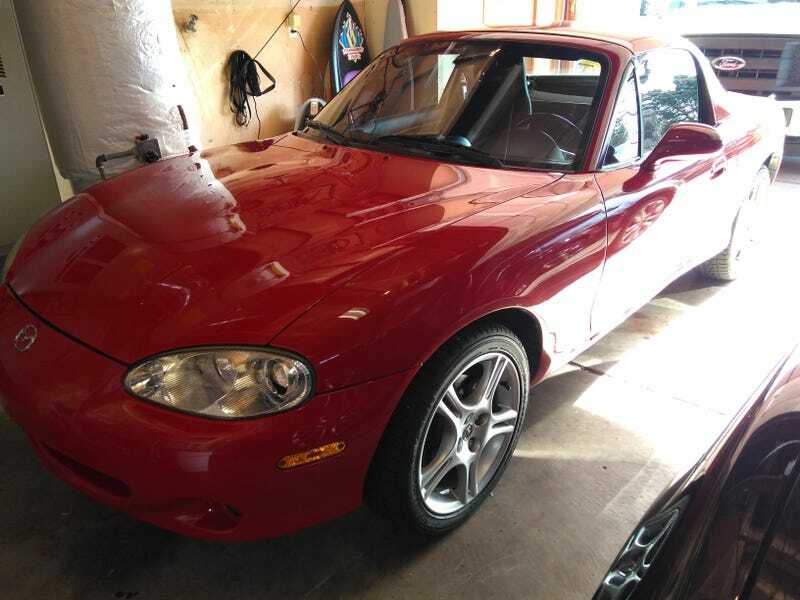 This is Miata number four between the two of us, with him having previously had a 93 black and tan leather package car, a 95 R package and now this 05. I owned a 99 for a couple of years. At some point he may get bored of driving this car. It would be a good starting point for an SCCA ITS or Spec Miata racecar to retire my Integra at some point down the road. Their fleet is rounded out by ye olde Escalade. If it looks familiar, that is because I used to own it. I bought it in January of 2010, and they bought it from me in the great car exchange of 2017. After a few years as my daily driver and many years as my tow vehicle and moving large objects vehicle, it now serves as their moving large objects/ tow vehicle. It is old, has 163k, and it leaks many fluids, but it is still a useful old tool.